Sharon scheduled a consultation with me a few days ago to discuss her financial situation. Back in February, she had enrolled into Debt Free Associates (DFA), a front end debt settlement company out of Oklahoma. Seven months after enrolling with Debt Free Associates under the promise that she just needed to pay $300 per month for the next 4 years, and they would resolve all of her debt, she began to receive threats about lawsuits from her creditors. Scared, she contacted (DFA) and was told not to worry and just ignore her creditors. This advice didn’t sit well with Sharon and she began to research debt settlement and for the first time learned that under a debt settlement plan, the debt settlement company would not be negotiating with her creditors until after she had saved up enough money to negotiate with. However, with the fees that (DFA) was charging her, it would be well over a year before negotiations would even begin. Through more research she quickly realized that the reality of what she had enrolled into did not meet the easy monthly payment sales pitch she was given back in February. To date Debt Free associates has collected about $2,200 in fees and according to Sharon, has not settled any of her debts. When she contacted (DFA) about a refund she was told that she was not eligible for a refund. As I mentioned, Sharon contacted me for help with her financial situation, and during the financial analysis I learned that she was on a fixed income of Social Security Disability and a very small pension. She did not have enough cash to meet her monthly bills and was having to borrow money from friends and family just to make the payments to (DFA). It was clear to me that she did not have the financial circumstances to be successful with not only the (DFA) plan, but any settlement strategy in general for that matter. We are currently exploring a chapter 7 bankruptcy to get rid of the debts once and for all. 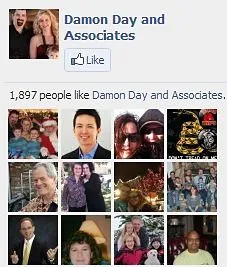 However, without a refund from (DFA) Sharon is unable to hire a bankruptcy attorney. In further discussions with Sharon, it appears that the sales person at Debt Free Associates made a mistake and enrolled Sharon into a plan without properly qualifying her for suitability or fully explaining how the process actually worked. I would like to bring this to the attention of management at (DFA) because I am sure that once they are aware of the circumstances involved in this situation, they will certainly want to make it right. The issue is not really about whether or not a company makes a mistake, because mistakes surely happen. The issue is more about what the company does once it becomes aware of a mistake that has been made. 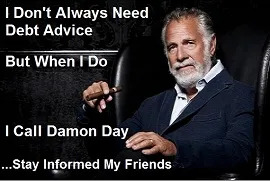 I do have more details of the correspondence between Sharon and Debt Free Associates, but I know that there are two sides to every story and to be fair I would first like to hear from Debt Free Associates before I engage in further specifics about that. 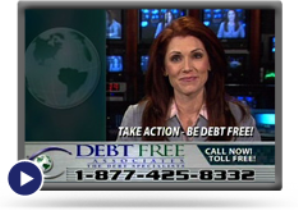 I have reached out to the contacts at Debt Free Associates that Sharon has provided for me and will update this article with their response as soon as I hear back. I too was so naive and fell into this debt settlement scheme. I was so desperate that I believed so easy on the promise that “I only have to pay a monthly fee and my creditors will be all paid in 5 years”. I’m sure that was how Sharon understood it too. There was no explanation on how it will happen, only that the debt settlement company will do the “magic” that no lay person could do. Big, big mistake! Most of them (I guess there are good ones out there) are vultures or probably worse since we the poor consumers are not quite dead yet and they already started ripping on our flesh. They are in such a hurry to have you sign up so that they could collect their fees right away before you find out the real plan. Of course, thinking time is of the essence, you sign up with the hope that they are your salvation. You keep paying your monthly installments, they do nothing. When you quit, they do not care because they will keep whatever you already gave them. Quite an easy way for them earn a living. I wish more people would check out articles like this before seeking help for their financial difficulties.